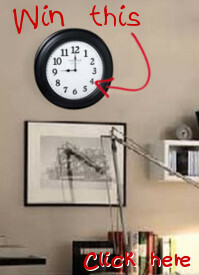 This clock belongs at Target or Wal-Mart! I was so excited to come home and fine an amazing shiny piece of work on my wall. But its Dull and boring AND CHEAP. The pictures make its look like a million bucks. The real thing feel cheaper than the cardboard box it came in! I pictured the hands being some type of metal instead of plastic!